French for finish is the verb 'finir'- All the Tenses in 3 minutes. French for finish - 'finir'- All the Tenses in 3 minutes. The verb in French for finish is the regular IR verb finir. To remember this imagine: the shark finishes his career with FINNAIR, the Finnish national airline. 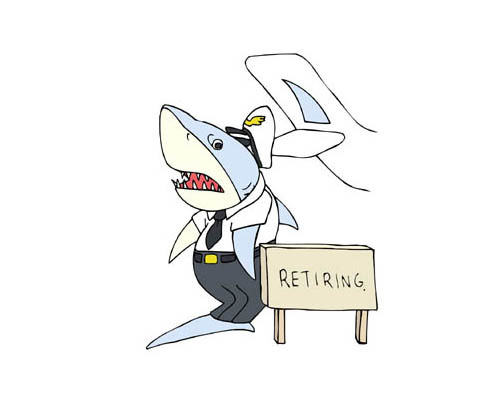 Imagine the shark finishes his career with FINNAIR, the Finnish national airline.. These are never-ending disuputes, quarrels. The French verb for finish finir is another regular IR verb conjugated using the same pattern of endings as 400+ other regular IR verbs. Learn to conjugate finir and it will reinforce the pattern for ALL regular IR verbs, these being the 2nd most common French verbs. ✔ You can more easily remember words and verbs like the French for finish finir using the techniques of the world's Memory Masters. 200 Words a Day! Free Daily French Lesson Online - the verb in French for finish finir - fully conjugated. French Learning Made Fun and Fast with your free newsletter Verb Lesson - finir - the French for finish.